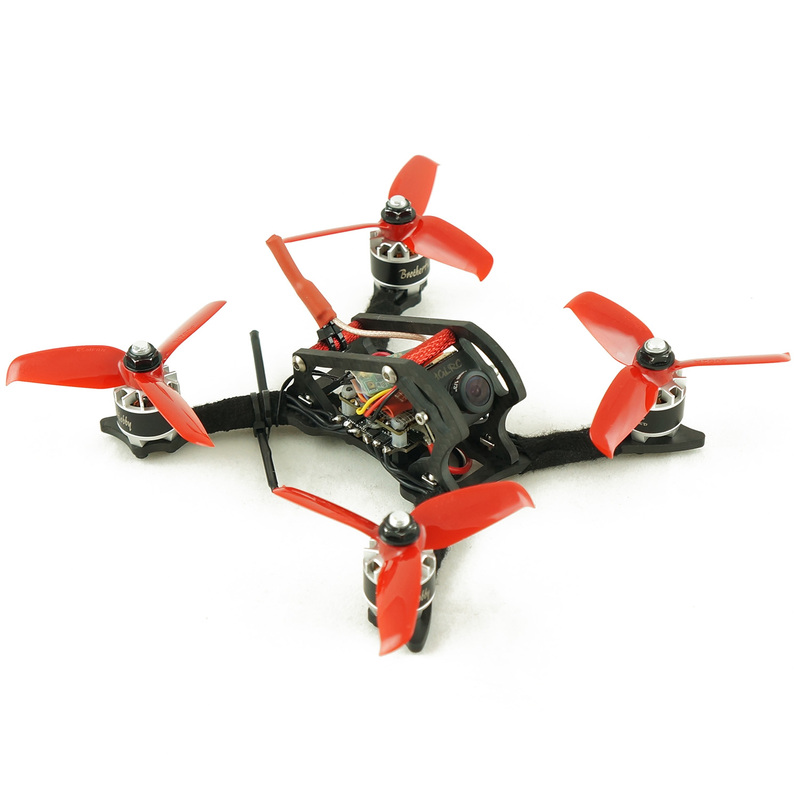 Rotorama Meffie is a lightweight (27.5 g) yet durable frame designed for 3" (and smaller) propellers. The frame has minimal aerodynamic drag, which, combined with 1407 motors and 3S, delivers the ultimate flight characteristics that do not leave even seasoned pilots unexcited. The frame is designed for motors 1104-1408. 4in1 ESC is recommended in order to maintain the benefits of narrow arms. Mounting dimension for FC and regulators is 20x20 mm. Classic micro cameras such as Runcam Sparrow Micro, Runcam Swift Micro, Foxeer Arrow Micro, and the like can be mounted in the frame. We recommend a mini / nano vTx with an integrated antenna: Eachine VTX03 or TBS Unify Nano.